The iPhone 7 Plus is definitely the most controversial iPhone ever, but behind that controversy lies a smartphone that packs several punches. From increased durability to an outstanding dual camera and great battery life, there's a lot to like if you can look past its shortcomings. Another year brings yet more iPhones and as a ‘new number’ year, we’ve come to expect revolutionary changes from Apple as it bids to continue being revolutionary. For nearly two decades, the company has introduced new devices across audio, computing and telephony to much aplomb. While this year’s handsets definitely received great interest at launch, not all of it was positive. 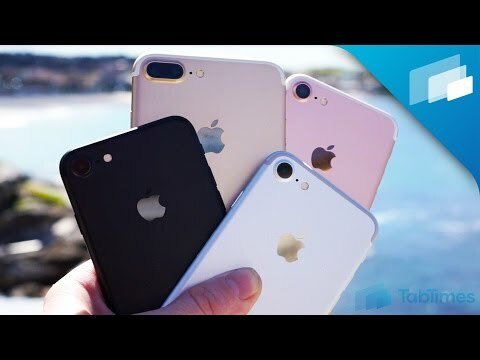 In the face of ever-increasing competition from more smartphone manufacturers than ever before, the Cupertino-based company is hoping the new iPhone 7 and iPhone 7 Plus continue to dominate the smartphone industry like the iPhones that preceded them. Yet, this year’s devices don’t deliver the radical changes we’ve come to expect from Apple’s two-year product cycle. While the name may have changed, the handsets do look remarkably similar to the iPhone 6S and iPhone 6S Plus of last year. 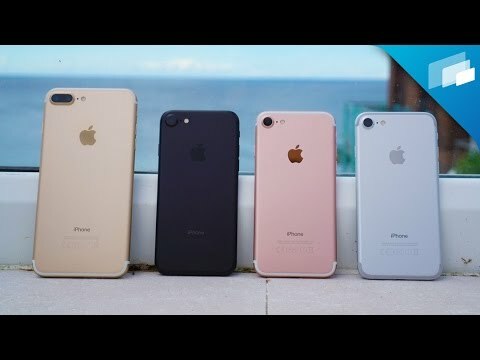 Apple’s iPhones have remained dominant mainly for their ability to “just work”, but 9 years after the introduction of the original iPhone – and with the 10th anniversary edition next year rumored to bring about the radical changes expected this year – does the iPhone 7 Plus deliver enough for it to truly challenge the plethora of phablets on offer from other companies? Let’s find out in this, our full iPhone 7 Plus review. With previous generations of the iPhone, we’ve come to expect that Apple will deliver radical changes to the design with each new number. The iPhone 5 changed the design with a larger display than the iPhone 4, and the iPhone 6 delivered yet another bigger device, this time with the addition of a Plus model as phablets in general became mainstream devices. With this in mind, we somewhat expected the iPhone 7 Plus to deliver yet another radical change. For the first time in history, Apple chose to keep the same design for a third year. As mentioned, the spectre of a 10th anniversary edition looms heavily over the iPhone and as such, Apple sticking to the same design is quite as surprising as it may seem. As a result, we have a design that’s almost identical to the iPhone 6S Plus, from the front at least. A 5.5-inch display is accompanied by large bezels above the display – which houses an earpiece with the second stereo speaker – and beneath the display, which houses the new home button. While we’ve become accustomed to large bezels on Apple devices, they do make the iPhone 7 Plus exceptionally difficult to hold and, in a market where other companies are able to deliver a larger screen in a smaller or similarly sized body, a redesign can’t come soon enough for Apple. While a lot of the design is similar to previous models, the biggest change is also likely to be the most polarizing; as Apple put it, they’ve had the ‘courage’ to remove the 3.5mm headphone jack. As a result, we have a smartphone that is both slimmer and lighter than previous models. By eliminating the headphone jack, Apple has inadvertently opened up a new conundrum in the process, and it’s one that has wide-reaching ramifications for the entire smartphone industry. If you have a favorite pair of wired headphones, you’re now forced to use the included Lightning to headphone jack adapter. While it’s nice that Apple included it for free in the box, it adds yet another thing you need to remember to bring with you. Alternatively, you can switch to wireless headphones or buy a new pair of lightning headphones, both of which bring with them additional cost and in the case of the former, the age-old argument that wireless means inferior quality. Either way, the decision is likely to split opinion and for some users. The lack of a headphone jack could mean the end of an alliance that may have spanned many years. Apple isn’t the first manufacturer to remove the headphone jack, but with the iPhone being so popular, it is likely to be the first time the conundrum has been presented to so many users. How the lack of a headphone jack is perceived could yet dictate how the smartphone industry progresses when it comes to headphones – and with USB-C now being widely used in more smartphones and capable of also delivering audio like the lightning jack – we could be seeing the end of the headphone jack as we know it. The second biggest change to the design is one that may not be immediately noticeable, but puts the iPhone 7 Plus ahead of most Android smartphones, a few from Samsung aside that is. This year saw the addition of IP67 water and dust resistance, which means your iPhone will finally be able to withstand minor splashes. Although Apple is careful to mention that full submersion is not recommended, our very own water test in Sydney revealed the new iPhones can certainly withstand most use cases for IP67 protection. 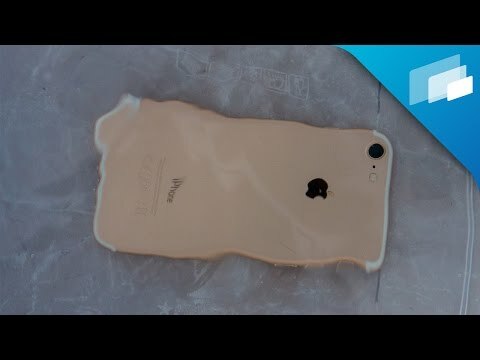 If you’ve ever had a liquid damaged iPhone, chances are the new protection will be a solution for this, although Apple is careful to mention that “splash, water, and dust resistance are not permanent conditions and resistance might decrease as a result of normal wear”. The changes aside, the rest of the iPhone 7 Plus feels familiar yet impressive. The 7000 Series Aluminum looks and feels fantastic, and provides a surprising amount of integrity; in our drop test, we weren’t expecting either of the iPhones to survive, but 12 drops later, they both did with just a few minor scuffs to show for it. In a subsequent advertent test, we found a simple 4 foot drop onto rough rocks was enough to crack the iPhone 7 Plus’ display but overall, this handset definitely seems like it could survive a small tumble. This year also saw the addition of two new colors – the Matte Black that John used for our iPhone 7 review and a new high-gloss Jet Black edition that’s very limited in its availability – alongside three previous colors: Silver, Gold and the Rose Gold edition we’re using in our review. While the Matte Black is very nice and does well to hide the redesigned antenna lines that run along the top and bottom of the phone, we found the Jet Black edition to be a true fingerprint magnet and almost gaudy in its style. This is not surprising given the high-gloss finish, but the handset also feels more like plastic than metal, but with limited availability, it’s not likely we’ll see as many Jet Black editions on the market as the other colors. Overall, we have very few qualms about the iPhone 7 Plus’ build quality. Like previous iPhones, it firmly delivers on Apple’s aim of offering a premium experience. The addition of IP67 resistance in a metal unibody is certainly a feat worth commending Apple for, especially when other manufacturers seem to have struggled to achieved this. While Apple has certainly does well, we question why the company isn’t able to make the camera flash with the body; the camera bump is still there – although it’s now made from the same piece of aluminum as the rest of the chassis – but it seems quite out of character for what is essentially one of the most stylish smartphones around. Apple chose to keep the design of the iPhone 7 Plus almost identical to the iPhone 6S Plus but despite doing so, the iPhone 7 Plus does feel somewhat different. Whether it’s the ever-so-slightly lighter body – it now weighs 188 grams versus 192 grams – or the new aluminum, the iPhone 7 Plus feels quite nice in the hand, as large as it is! While parts of the iPhone 7 Plus design may have been tweaked, the display is mostly the same affair as the previous two years. Despite Quad HD displays very much becoming the mainstay for smartphones at this (and lower) price points, Apple has opted to keep for the same Full HD panel found in previous generations. As a result, you’ve got the same 5.5-inch LED-backlit IPS-LCD display with a resolution of a 1080 x 1920 pixels, giving it a pixel density of approximately 401ppi. By way of comparison, other smartphones regularly offer above 530ppi density, which goes someway to show how far Apple is behind the competition with regards to smartphone resolution and density. At the end of the day, however, it proves to be effective enough for reading text, watching videos and surfing the web but with a few years at the same resolution, we’re definitely hoping Apple sees fit to bump the resolution up next year. Actual specs aside, the iPhone 7 Plus display continues the previous trend of providing great viewing angles and rich colors. Offering a maximum brightness of 650 nits, the iPhone 7 Plus has no problems with legibility even in direct sunlight. Although it’s not a record, it’s definitely up there as far as max screen brightness goes. The iPhone 7 Plus offers a color temperature of 7240k, which is slightly warmer than the iPhone 7 which ranks in at 7366k. Essentially, this color temperature means the display has a slight bluish tinge, although it’s not as noticeable as other LCD displays we’ve tested. Apple did tout the screen’s wider color gamut, though there are a few anomalies when tested against the sRGB color gamut spectrum. It’s not bad by any stretch – and more than acceptable – but, while the colors blue, teal and green mostly hit their reference points, there are slight errors in accuracy with magenta, red and yellow. Overall, the display is fairly color accurate while not being totally spot on. As far as the Retina Display goes, Apple would have you believe that it’s one of the most advanced on the market. While this may have been the case at one point, it’s certainly not now. The display itself is pleasant to use – while not being overly spectacular – the colors are accurate enough and the density is certainly capable of handling anything you throw at it. Overall, it’s a good display that gets the job done, while not standing out in any particular way. One of the biggest hardware changes is noticeable when you’re buying your new iPhone, as Apple has finally decided to bid farewell to 16GB of base storage. Storage options have now all been doubled to 32GB, 128GB and 256GB. Unfortunately, despite removing the headphone jack (and replacing it with a bigger tactile engine), they’ve not seen fit to bring expandable storage and it’s highly unlikely that Apple ever will. With this in mind, when buying your iPhone 7 Plus, we’d recommend going for the 128GB storage option unless you don’t take pictures often and/or don’t install many apps. Alongside increased storage, Apple has also made a big change to the home button on the iPhone 7 Plus, and this is with mixed effect in my honest opinion. Instead of a physical button like previous iPhones, the new home button utilizes the same 3D Touch technology as Apple’s displays to deliver haptic feedback in a bid to emulate the traditional home button feel. Honestly, I hated the new home button at first but after a few days with the iPhone 7 Plus the changes are less noticeable, mainly as I’ve enabled the old-style behavior of resting your finger on the button to unlock it with TouchID rather than have to press it as is the default setting. Talking of 3D Touch, the Retina Display comes equipped with the same technology, offering a secondary level of interaction with your iPhone before having to actually open an app. Last year, I wasn’t a big fan of 3D Touch, but with the iPhone 7 Plus there seems to be a lot more apps that actually support the technology. A week later, I’ve now found myself applying pressure to apps and notifications to see the options before actually going into an app. Due to its ability to distinguish different types of pressure, it has somewhat-useful abilities when taking notes with your finger as applying firmer presses produces thicker strokes. But having used the Galaxy Note 7, it’s not as useful or practical as Samsung’s S-Pen. Rather, 3D Touch is great as saving you several key presses to access widgets, latest notifications and shortcuts to apps, and it’s surprisingly useful once you begin to embrace it. A big change on Apple’s part is only noticeable when you play back media as the iPhone 7 Plus (and smaller iPhone 7) now come with dual stereo speakers – a first for the iPhone line. Although the design hasn’t changed, the iPhone 7 Plus keeps one speaker along the bottom edge of the phone while also adding a secondary speaker in the earpiece above the display. Whether it’s for calls, media playback or the ringer, the secondary speaker is a very welcome improvement. Audio is on par with most smartphones, too, not counting smartphones with dedicated DACs such as the LG V20 and ZTE Axon 7 that is. Overall, the iPhone 7 Plus hardware hasn’t changed an awful lot, but the changes themselves are welcome improvements. If you’ve had an iPhone before, you’ll find the tweaks very pleasing indeed. As with previous years, Apple has been pretty coy with the specs powering the iPhone 7 Plus. As always, it didn’t take long to find out the internals of the new phablet. Both the iPhone 7 and the iPhone 7 Plus have received an extra gigabyte of RAM, and although the 3GB of RAM inside the 7 Plus might seem to pale compared to the 4GB that’s become standard on Android phones, specs can be deceiving. While its rivals feature octa-core and even deca-core processors, Apple has just transitioned to a quad-core 64-bit processor with the A10 Fusion chipset powering the new iPhones, up from dual-core in previous generations. This is made up of two high performance cores and two high efficiency cores. Depending on the task, the appropriate cores will provide the most suitable performance while also optimizing battery consumption in the process. How does the A10 Fusion stack up to the competition that powers Android smartphones? Before going into actual usage, let’s see how it handles the usual benchmarks. First up is GeekBench 4, where the iPhone 7 Plus scores 3419 in the single-core score and 5395 in the multi-core score, making it the most powerful Apple processor ever (even more than the iPad Pro). By way of comparison, the Galaxy S7 Edge scores 1743 and 5406 in the single core and multi core tests while the Galaxy Note 7 rakes in 1815 and 4710 respectively, showing just how powerful a single core inside the A10 Fusion is. Next up is AnTuTu Benchmark, where the iPhone 7 Plus scores a very respectable 114795. By way of comparison, the Exynos-powered Galaxy Note 7 scores 127509 and the Exynos-powered Galaxy S7 Edge scores 129867. Although scores do vary from device to device, we’ve seen the iPhone 7 Plus score in excess of 150,000 on other results across the web (and higher from the other two devices as well), making Apple’s latest chipset a powerhouse indeed. To the final benchmark, and a test of the new hexa-core GPU inside the A10 Fusion chip, which scores 2210 in the 3DMark SlingShot test (using ES3.0). By way of comparison, the Galaxy Note 7 scores 2502 and the Galaxy S7 Edge scores 2219, making the GPU pretty impressive for graphics, at least according to the benchmarks. As we all know however, benchmarks don’t mean everything so how about real world performance? Like previous iPhones, there’s nary a concern here as the iPhone 7 Plus is snappy with almost anything you throw at it. Consistency is very much one of the iPhone’s biggest strengths and this continues with Apple’s latest phablet as there’s no discernible lag at all; moving around the interface, switching between apps and scrolling in-apps, the phone seems to handle everything you throw at it. Whether it’s gaming, browsing, hammering out emails or anything else, there’s doesn’t seem to be much that slows the iPhone 7 Plus down. As the benchmark results show, the A10 processor is one chipset that can more than hold its own against the very best that the competition has to offer. We’ll be testing the processor in a much more technical way in the near future but you can rest assured that there are no performance concerns with the iPhone 7 Plus. Like the processor, Apple always remains quite tight-lipped about the exact battery capacity of its smartphones, preferring to quote figures and advancements over previous years. The iPhone 6S Plus’ exceptional battery life was one reason that many consumers chose it over the regular 6S and it’s likely to be the same with the iPhone 7 Plus, although it’s had a smaller increase in capacity than the iPhone 7 (5.5% and 14.5% respectively). The battery inside the iPhone 7 Plus is rated at being a 2,900 mAh cell, which might seem low for a phone of this size but of course, to judge it just on capacity would be to forget about the optimizations that Apple is able to do thanks to its control over both the hardware and the software. How long does the battery last, you ask? While Apple makes it difficult (read: impossible) to know exact screen on time figures, we can say we’ve had no problem reaching the end of the day with medium to heavy use and often there’s at least 20% remaining. On days with really heavy usage – such as when we ran a camera comparison test and spent a lot of time on the phone responding to messages and emails etc – this can be reduced to around 5-8% remaining. This is a rare occurrence and you should have no concerns with battery life on the iPhone 7 Plus. One of the biggest things that sets the iPhone 7 Plus apart from its smaller sibling is the new dual camera array, with Apple adopting a two-camera layout like a few Android OEMs have done. Unlike its rivals however, Apple’s implementation is quite different as it focuses on zoom, and I’ve got to say, it’s really quite impressive. Before we get into the actual photos, let’s take a look at both new lenses stuffed inside the raised camera hump on the rear of the iPhone 7 Plus. Like the iPhone 7, the iPhone 7 Plus comes equipped with a 12MP main camera with f/1.8 aperture, phase detection auto-focus, Optical Image Stabilization and a quad-LED dual-tone flash. What sets the iPhone 7 Plus apart however, is the secondary 12MP 56mm telephoto lens that offers 2x optical zoom without reducing quality. Apple is also planning to release a new update later this year – which is already available in the public beta – that will enable a portrait mode, which will allow you to use both lenses to create a macro-shot with a bokeh background. What makes the iPhone 7 Plus one of the best shooters on the market is the simplicity with which you can take a photo; simply fire up the camera and tap the shutter button. A large part of this can be attributed to how the camera interface is simplified to only offer the most basic of functions, but this follows the same vein as the rest of Apple’s mobile offering: to offer a simplified solution that absolutely anybody can use. What this simplification means, however, is that the options available are basic at best; sure, you get a few modes such as panorama, burst mode, time lapse, live photos, and filters, but they’re the bare bones standard we’ve come to expect from all smartphones. If you need the advanced controls offered by other smartphones, you’ll need to download a 3rd party camera app. The good news is that there’s definitely a plethora of apps available. Camera software experience aside, what about quality? Apple’s shooter has always been very reliable, and the iPhone 7 Plus continues this trend, offering excellent all-round photos in most conditions. In good lighting, the iPhone 7 Plus captures photos that are accompanied with sharp details, proper exposure and neutral-toned colors. In bright areas, photos can be overexposed which hides details in the process. In times like this, the HDR mode does a great job to balance exposure and neutralize the shot while keeping a natural look in the image. The end result is an image with proper exposure. While you could keep HDR mode set to on always, we’ve found that the auto HDR mode does really well at judging the scene and knowing when to enable HDR. One of the biggest selling points for the iPhone 7 Plus over its smaller sibling is the secondary camera, and this is where I personally feel that Apple has hit the nail on the head. Dual cameras certainly aren’t new – after all, Android phones have had them for some time now – but what Apple has done is find a different way to use the dual camera. Instead of a secondary monochrome sensor like the Huawei P9 Plus or a wider second camera like the LG V20, the iPhone 7 Plus brings an element of optical zoom to smartphones and makes capturing far details a breeze. With a simple tap of the zoom button, you’re able to engage the optical zoom and get closer to the subject without losing quality. Once you then zoom in to the captured image, you find that the image quality degrades slightly, even though it’s a lot less than other smartphones. As you can see in the images above and below, you can still see details on a subject even if it’s very far away. Update: The Public Beta of iOS 10.1 brings with it a chance to test the bokeh portrait mode on the iPhone 7 Plus, which uses the two lenses to capture depth of field information and blur out the background. As the shots above show, the results are pretty spectacular! The iPhone 7 Plus has also had an upgrade on the front camera, which is now a 7MP snapper, and captures an impressive amount of detail when the conditions are ideal. In low light, the snapper is more than capable of capturing enough details so that selfies aren’t too noisy. Overall, it tends to favor a warmer tone. Either way, selfie lovers can rejoice as the iPhone 7 Plus is more than capable of taking great or acceptable selfies in almost all conditions. Like previous devices, the iPhone 7 Plus is also capable of taking pretty great video with a range of shooting modes available. OIS does a great job at ensuring that videos remain mostly stable and videos are rich in detail and clarity. 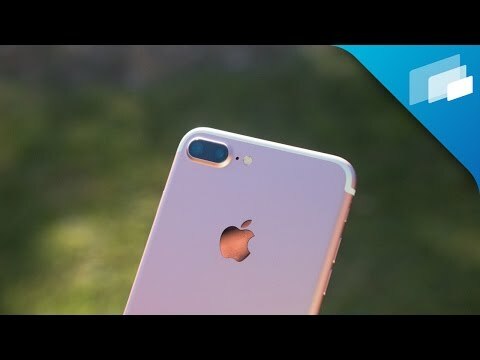 Of course, there’s also the ability to shoot slow motion video in Full HD at 120fps or even 720p at 240fps and compared to other smartphones, the iPhone 7 Plus makes taking great video a breeze. One particularly annoying pain point is that you need to go into the main settings menu to change the video recording from 1080p to 4K, and this reliance on a global settings menu does seem quite convoluted when you have to go back to the home screen just to change a setting and then go back into the camera to use it. Overall, what can you say about the iPhone 7 Plus’ camera? Well, it’s really quite simple: like previous years, Apple has done a stellar job of producing a great camera without making it too complicated for the end user. As far as point and shoot smartphone cameras go, the iPhone 7 Plus is up there with the very best and – having to download a 3rd party app to get additional controls aside – the camera does the job and does it really well. What sets the iPhone 7 Plus apart from almost every other smartphone is the secondary camera and Apple’s implementation is arguably the best way to use a secondary lens. The ability to zoom without losing any detail (or little detail if you zoom past 2x) coupled with the bokeh-effect thanks to the portrait mode arguably makes the iPhone 7 Plus the smartphone camera you always want in your pocket. As with every year, a new iPhone brings a new version of Apple’s mobile software. iOS 10 continues Apple’s vein of simplicity while bringing further advanced features. However, as an Android user, I can safely say that while iOS 10 does the simple things very well, it does fail to match Google’s OS when it comes to power user features and true multi-tasking. On the surface, iOS 10 looks and feels just like any other version of Apple’s mobile OS and brings the familiar grid-like arrangement on the home screen. Of course, there are widgets in iOS now but they pale in comparison to the implementation on Android. If you’re coming from Android, you may find Apple’s implementation of tons of apps on the home screen somewhat disorganized but it’s certainly not the worst in the world. Apple continues to favor simplicity and at the end of the day, that’s what has made iOS as popular as it is today. iOS 10 brings a series of new features, but the overall experience doesn’t differ from other iPhones running the same software. From the perspective of an Android user, transitioning to iOS certainly requires an adjustment but it’s actually not that bad to use once you get used to it. New features in iOS 10 include enhancements in iMessage – such as the ability to send stickers, write handwritten notes, send your heartbeat and replace words with emojis as you type – and improvements with Siri, which can now work with apps from the App Store. Updates to Home Kit means you can now add Home Kit-enabled accessories and essentially – especially with over 100 new HomeKit accessories set to launch in the coming months – Apple wants to make it your one-stop portal for automating everything in your home. A feature that is seemingly exclusive to the new iPhones is the raise-to-wake feature, where your screen turns on by itself when you pick up your iPhone, and allows you to quickly glance at time, date and notifications. It’s definitely useful but given the iPhone uses an LCD display, the entire screen turns on and it’s not quite as well implemented as the Always On Display feature found in many Android smartphones like the Galaxy Note 7 and LG V20. Overall, iOS 10 is definitely an advancement over previous versions of iOS, but it continues to look and feel as iOS has done for many years. The new improvements are definitely welcome, but when it comes to true multitasking and features for power users, iOS continues to pale in comparison to Android. That being said, the 3D Touch feature is very useful at removing steps to open apps to check and reply to notifications, as well as see your most recently accessed files. I like using 3D Touch a lot more now that most apps support it versus last year where only Apple’s native apps used the feature. If productivity is the most important thing to you, then iOS will leave you sorely disappointed. If you’re interested in a simple experience that just gets the job done, then the iPhone 7 Plus definitely delivers. Like every smartphone OS, just how much you get out of it depends solely on your use case and what you need your smartphone to offer. As far as phone calls and cell signal goes, the iPhone 7 Plus doesn’t have any noticeable issues, but calls do sound much better on our end thanks to the speaker built into the earpiece. Whether you’re outside in a noisy environment or inside a quiet apartment, the iPhone 7 Plus definitely delivers. Hearing callers is never a problem – both in the earpiece and in the speaker, thanks to the latter’s strong resonance and overall output – but on the other end of the line however, callers do say we sound a little distorted. 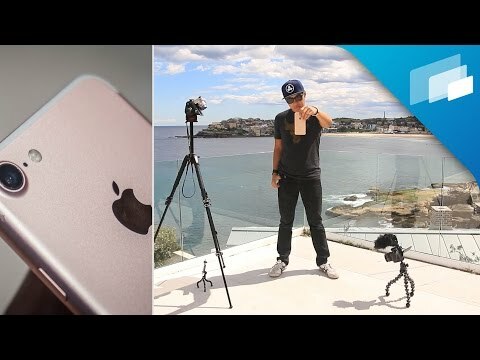 In John’s iPhone 7 review, he noted several distortion issues. While it isn’t as large a problem with the iPhone 7 Plus, it’s definitely noticeable. For the most part however, calls are certainly not an issue with the iPhone 7 Plus. Colors Rose Gold, Silver, Matte Black, Gold available across all models. Jet Black only available in 128GB and 256GB models. Rose Gold, Silver, Matte Black, Gold available across all models. Jet Black only available in 128GB and 256GB models. The overall design is identical for a third year in a row – marking a first for Apple – but almost all facets of the iPhone 7 Plus have been upgraded in one way or another. Yet, it seems Apple can’t shy away from controversy and this year’s iPhone 7 and iPhone 7 Plus are the most controversial yet, thanks to the lack of headphone jack. Removing the headphone jack forces customers to go down one of three roads: go wireless, use the adapter or in some extreme cases, switch to an OEM that does offer a traditional headphone jack. The first two would keep customers within the Apple ecosystem but the latter could mean loyal customers switching away – or opting for older models like the iPhone 6S and iPhone 6S Plus. Whatever the decision, this change is likely to end up like an afterthought, much like when microUSB replaced miniUSB and Apple dropped its 30-pin adapter in favor of a lightning port. When it comes down to it, users will most likely adapt to Apple’s insistence that the headphone jack is no longer necessary. And with so many upgrades in the iPhone 7 Plus – such as water and dust resistance, the second camera and impeccable performance from the A10 Fusion chip – the lack of a headphone jack doesn’t seem like so much of an issue. In the bigger picture, the iPhone 7 Plus definitely delivers a worthy experience, but whether it’s worth buying depends if you can live with the compromises. In a market where phablets are growing more and more popular every year, the iPhone 7 Plus definitely stands its own against the competition and might yet prove to be one of the best smartphones of the year.